Chang’e is the beautiful goddess of the Moon, and wife of the famous archer Houyi. In ancient times there were ten great sunbirds above the earth, each a child of Shangdi, and they would each take turns traveling across the sky as the sun. However one day they all decided to ascend at once, and they scorched the earth with their heat and brightness. Shangdi summoned the god Houyi to scare them away and save the world below, but they were troublesome and would not be quelled. So Houyi shot them down one by one, until only one sun remained. Shangdi was furious with the archer for killing his children, and banished he and his wife Chang’e to live on Earth as mortals. Houyi sought the aid of Xi Wang Mu on mount Kunlun to restore them, and the goddess took pity on him. She had a single vial of the elixir of life, and she gave it to him, saying that “If you drink half of the vial, you will gain eternal life. If you drink all of it, you will ascend to the heavens as an immortal god.” Houyi took the vial home, intending to drink half and leave the other half for Chang’e, so that they might both live eternally on Earth. But Chang’e found the vial while he was out hunting one day, and drank all of it, curious about what it was. She immediately became weightless and ascended up toward heaven, returned to her godlike state, and Houyi was too late to catch her. She flew up to the Moon, still banished from heaven, and lives there still with a great many white and jade rabbits as her servants. Houyi was murdered by his apprentice Feng Meng, who was jealous of the mastery of the bow which he could not achieve, and the spirit of Houyi ascended to the Sun and built a palace there. Now he and Chang’e share the sky, and like Yin and Yang they balance the world, though the Moon occasionally sojourns into the daylight sky to be with her husband for a time. Qilin: Immune to most powers, heals units on death. Believed to be a good omen, Qilin is a mythical creature from the far east resembling a hooved dragon with antlers and sometimes fire, which covers parts of its body. Despite its formidable appearance, Qilin was considered a peaceful creature. It would appear to wise rulers and bestow luck and prosperity, and it would only reveal its ferocious side if a pure cause was threatened. Various depictions and stories include Qilin gliding on clouds so as to not harm a single blade of grass or a living creature. Chang’e sees her followers are struggling and send down a barrage of arrows to help them. Barrage: Chang’e orders her husband Houyi to send down a barrage of arrows to protect her followers. 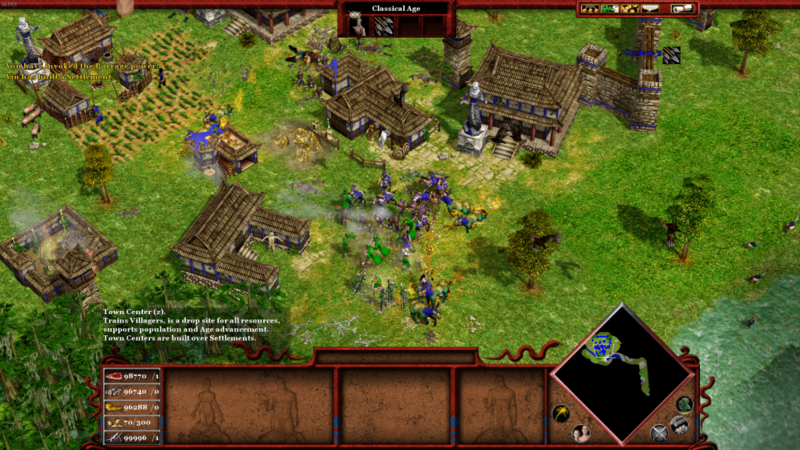 The Barrage can be used to target any spot, but is most effective on large groups of units. Buildings are also affected but to a much lesser extent. Elixir of Immortality: Chang’e shares her Elixir of Immortality with your Immortals, which makes them rapidly regenerate their health. Houyi’s Bow: Chang’e lends her Husband’s bow to your Archers, increasing their damage. 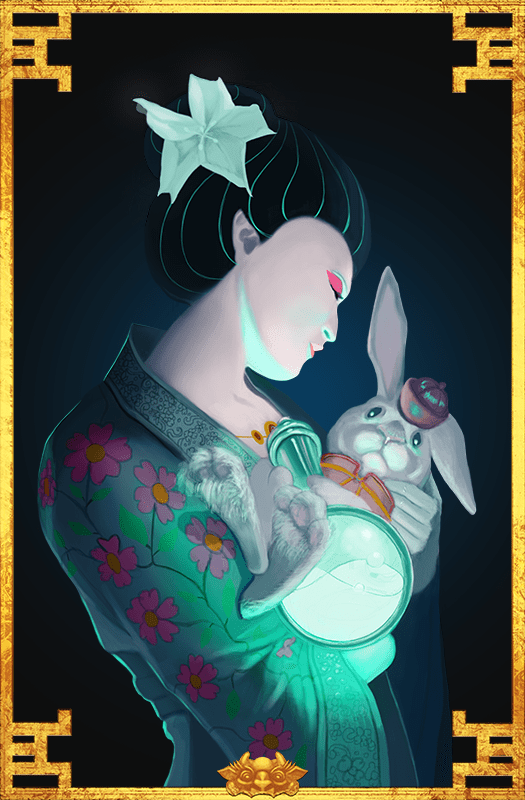 Jade Rabbit: Chang’e makes all Human Units and Heroes move faster.